XTERRA Touring 12'6" Inflatable SUP Review - 4.5 Star Rating! 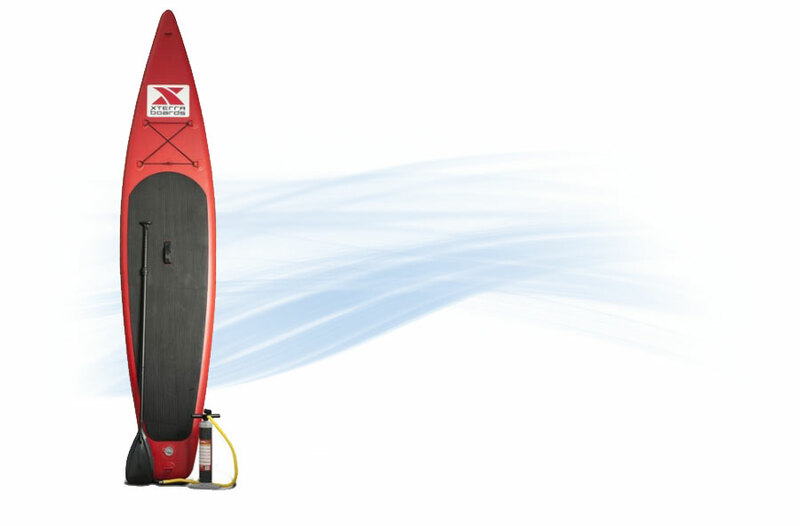 Summary: The XTERRA Touring Board is ideal for smoother, longer and faster rides in the water. Offering solid performance and impressive control, XTERRA Touring 12’6″ Inflatable Stand Up Paddleboard is one of the best-rated items on Amazon, with several review an outstanding 4.8-star rating. 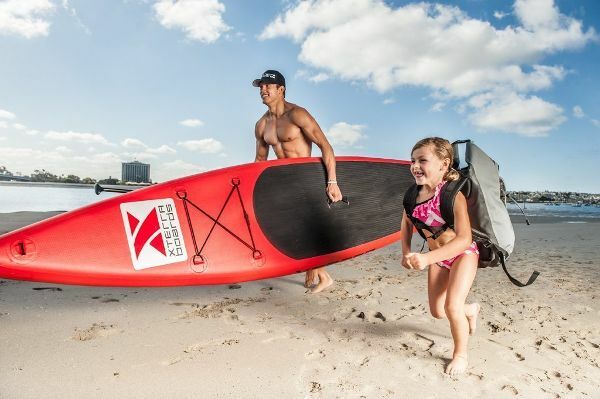 According to the XTERRA manufacturers, this is by far one their best SUP boards to hit the consumer market. 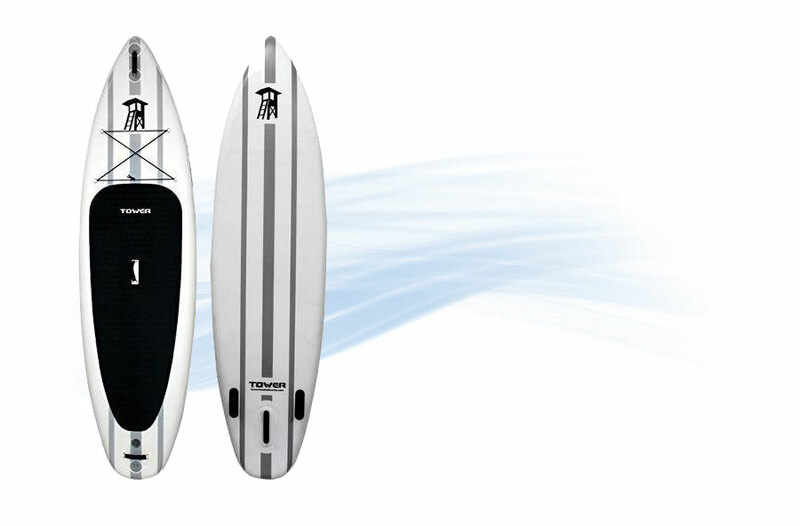 The XTERRA Touring Board is ideal for smoother, longer and faster rides in the water. The pointed nose displaces the water in such a way that it allows for improving stability over the conventional rounded and surf shaped boards. Below we have underscored some of the major highlights for those who settle for purchasing this paddleboard. We highlight some of the major functionalities that make the XTERRA Touring 12’6″ SUP an outstanding addition to your outdoors regime. 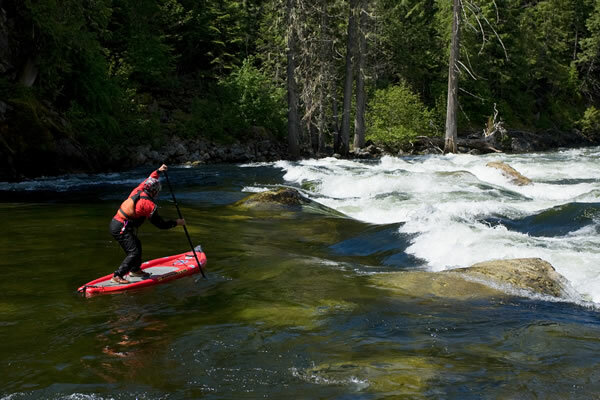 The XTERRA Touring 12’6″ Inflatable Sup is designed with durability, convenience as well as functionality in mind thereby making it highly stable and lets you glide on the water effortlessly. With its exceptional 6-inch thickness, users are guaranteed of excellence balance and stability even high in the water. The board weighs just 31 pounds, and it comes with additionally re-enforced material of military grade quality. Just by using a high-pressure pump and gauge, users can pump the board to 15 PSI with an average inflation time of 4 minutes. Users will also appreciate that the board has been made using superior quality EVA foam that guarantees ideal grip and comfort at all times. The XTERRA Touring board also comes with benevolent additions such as the robust bag pack and a comprehensive repair kit. Besides that, XTERRA touring SUP also comes with a three piece sturdy aluminum kit that is light, simple to transport and tear drop shape provides sufficient power in the catch. This board also comes with additional Six D-Rings that are rust resistant and provide the ultimate durability as well. To be specific, the D-rings are positioned on the front, rear, bow and the stern for towing as well. More so, this unit also comes with three board-fins with a center removal fin that is specially positioned such that it will not snap off, and it can’t be removed when the board is inflated. By the same token, it also comes with two rubber side fins that are ideal for tracking and shallow water paddling. It also comes with a superior design aesthetic that lets you take on the water with style and elegance. Although large boards are typically challenging to control, this board is simple to control even for novice users. 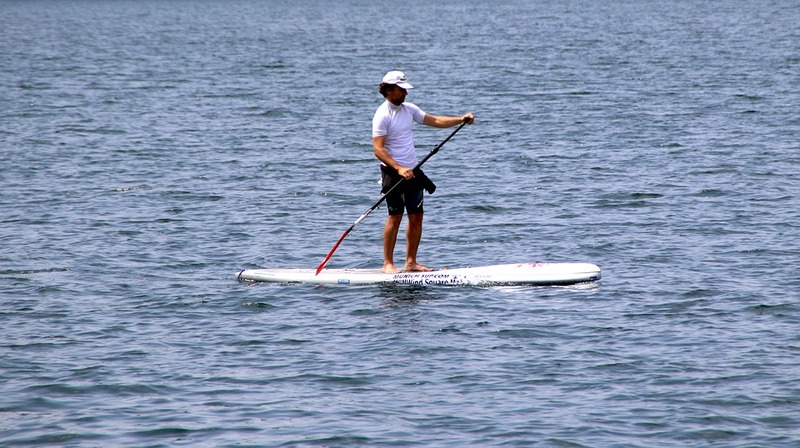 The board glides smoothly on the water, and the highly stable design means that the user has sufficient control even in deep waters. 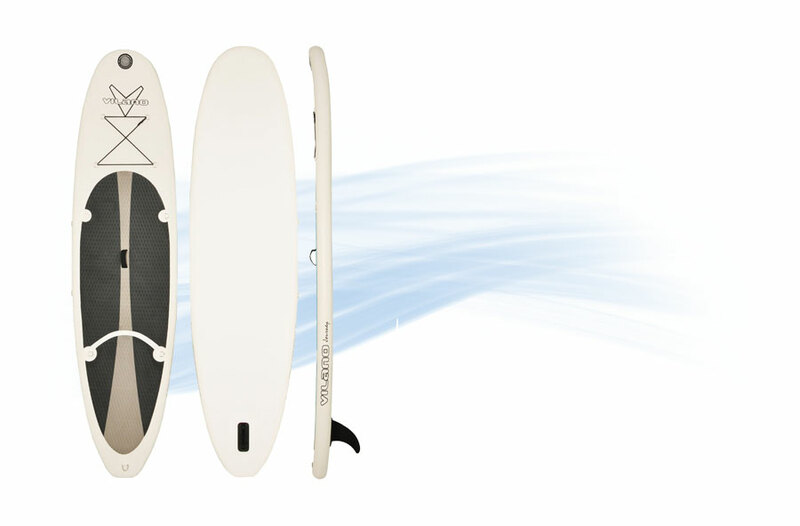 It also comes with a detachable fin that enhances the overall stability of the board. 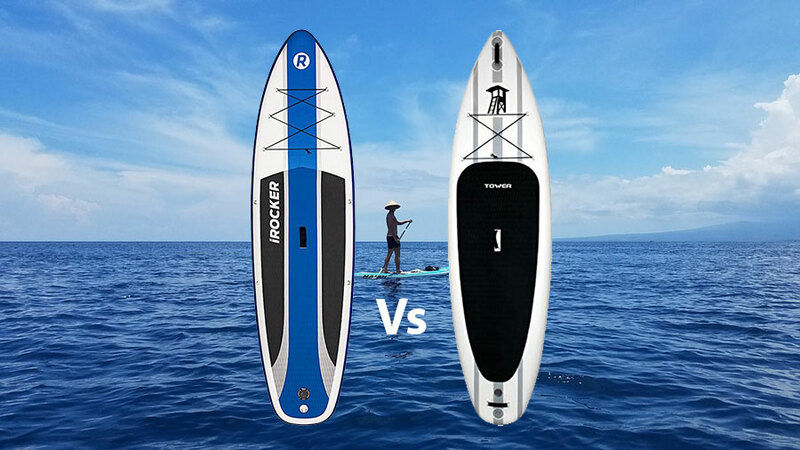 Paddleboards will also appreciate the improve efficiency, excellent glide on flat water and the smooth ride that on choppier conditions in the open ocean. The board also has an appealing design that makes it stand out from the rest. This iSUP board is rated user -friendly for users of all age groups. More so, the procedure of setting up the board is also simple, since all the user has to do is to inflate the board using a unique pump. 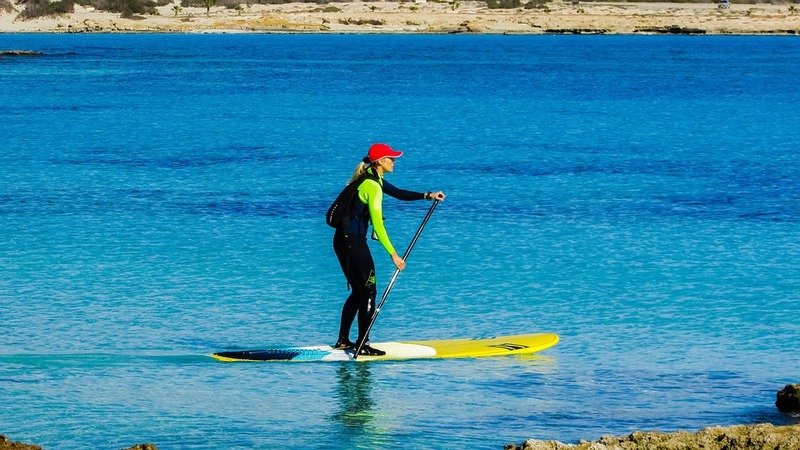 Whether you are an experienced or novice surfer, this board comes with features that are ideal for taking on water bodies such as the rivers, lakes and the sea amongst others. The entire set comes packed in a robust backpack that comprises of the paddle, the SUP, and the pump. 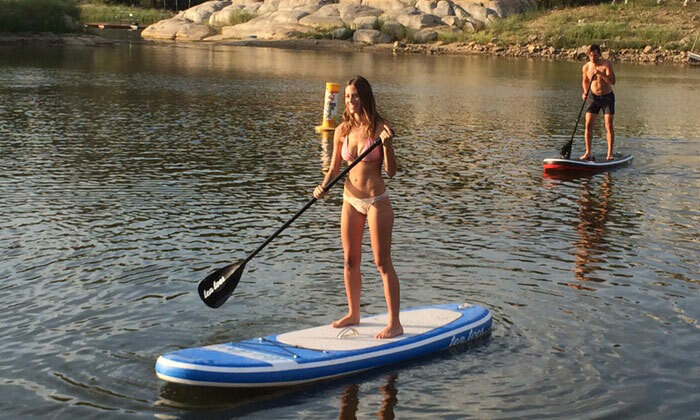 Once the SUP is inflated, and the paddle components are appropriately connected, then the user can take on the water. 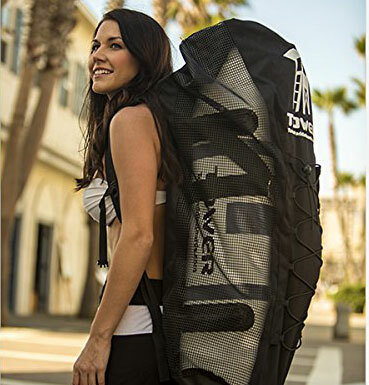 This inflatable paddleboard comes with a robust back along with a three piece ergonomic paddle that is made using aluminum and is simple to connect. Besides that, it also comes with a hand pump that can be used to inflate the board in as little as 4 minutes of pumping time. 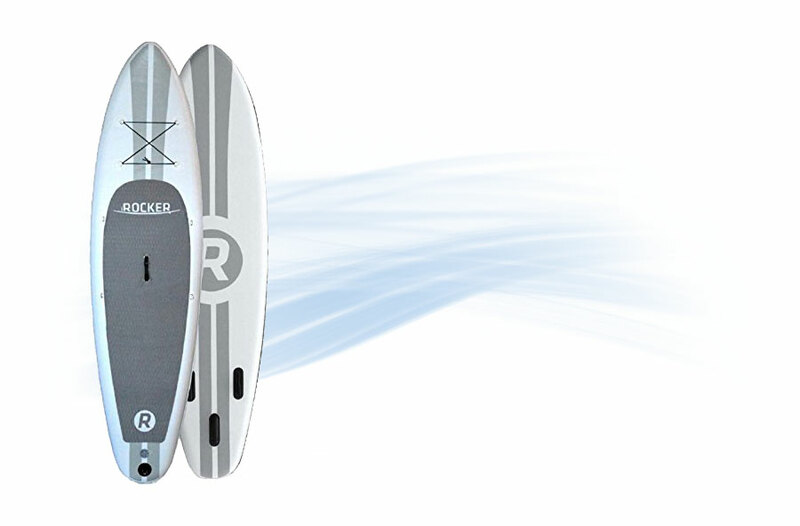 It also comes with a detachable center fin on the rear section of the board and a comprehensive repair kit. 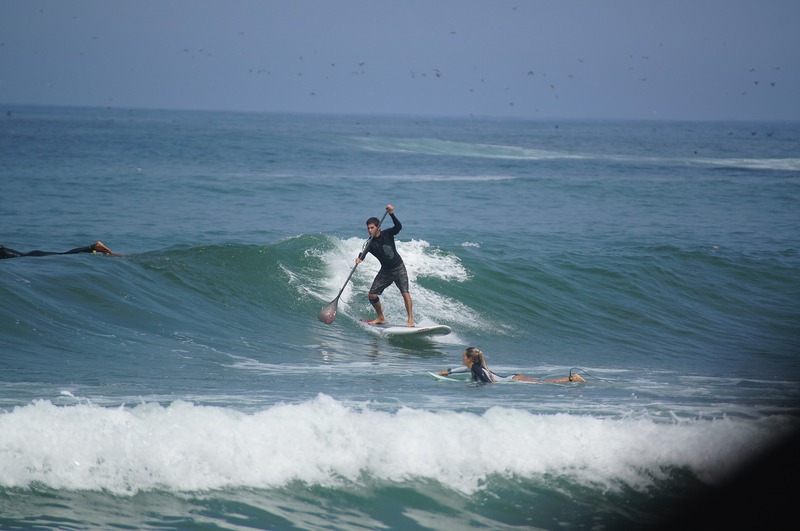 XTERRA Touring 12’6″ Inflatable Sup paddle is tailor made for surfing while enjoying the ambiance of the water. The manufacturer of this unit also demonstrates their obsession for progression and excellence with the inclusion of the 2-year warranty coverage. All things considered, the XTERRA Touring 12’6″ Inflatable Sup Review board combines the convenience of an inflatable with the efficiency of a touring sized board that makes it the ideal solution for extended outings, cross training as well as camping trips. 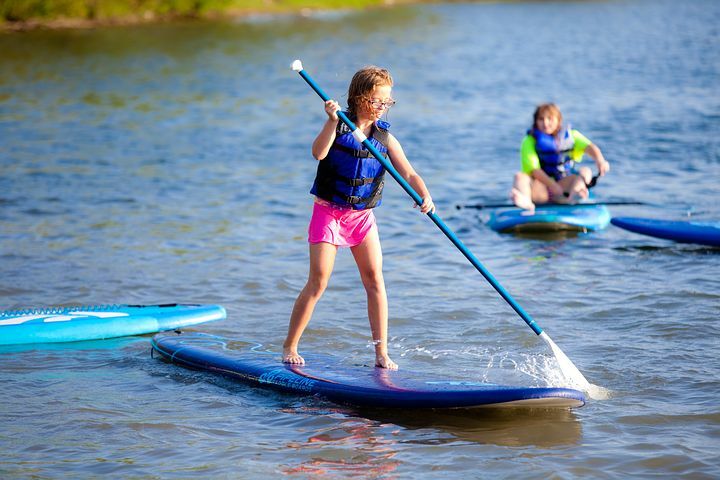 This is because the board if made using superior quality EVA foam that is durable and an excellent design aesthetic that lets you take on the water with class. Besides that, the superior paddle design also enhances portability. While the board might only be available with a hand pump, it does take a few minutes to inflate it to the ideal size. More so, the board is also perfect for all age groups of users, and it comes with auxiliary additions such as the backpack and the hand pump. Therefore, this board is an excellent investment for anyone who loves the outdoors and especially taking in the waters.